Growing up in the south of France, eating a Mediterranean diet, walking to and from school every day and everywhere I needed to go, I never had an issue with my weight and never even thought about it— imagine that! So, when I moved to Houston Texas at 14 with my mom, neither of us speaking a word of English, it was a complete culture shock at every level. First of all, nobody walked anywhere—Houston doesn’t seem to believe in sidewalks —and my mother and I soon discovered that to fit in, we had to get a car or take the bus because walking was out of the question. So, I think it was about 6 months later that I was literally shocked to discover I had gained about 25 lbs! All of a sudden, food became an issue as it never had been before: I struggled with my weight, going on diets and losing the weight and gaining it back and losing it again. It wasn’t until I went to college in California that I rediscovered myself and finally realized that I was no more immune to junk food than anyone else. I started watching what I ate more carefully and I stabilized my weight. But really, what made me change my relationship with food entirely and really embrace not just good food but good health, and what allowed me all these years since, even after all my pregnancies, to control my weight without ever dwelling on it, just the same way I had as a young French girl back home in the south of France was….falling in love with my husband! He, Dr. David Katz, an aspiring Preventive Medicine resident at the time (now a world renowned expert in nutrition and disease prevention) and I met in an epidemiology class I was auditing at Yale and the rest, as they say, is history. A whole lot of history! One thing I didn’t mention which is relevant here is that I am also a scientist, earning my PhD in neuroscience. So, when David and I got married and made a family together, it was clear to us that his passion for health and my love of French cooking also needed to be wed. And so our “marriage” of priorities resulted in 20 years of methodical experimentation- but in our warm, lively home kitchen, rather than any neuroscience lab. He is theory and I am practice! Over those years, David and I have raised 5 beautiful healthy children together- Rebecca, Corinda, Valerie, Natalia and Gabe (I stopped working as a neuroscientist after Natalia was born)- and all of us have benefited from our shared passion for loving food that loves us back. I now call this wonderful wedding of nutrition and good health Cuisinicity. 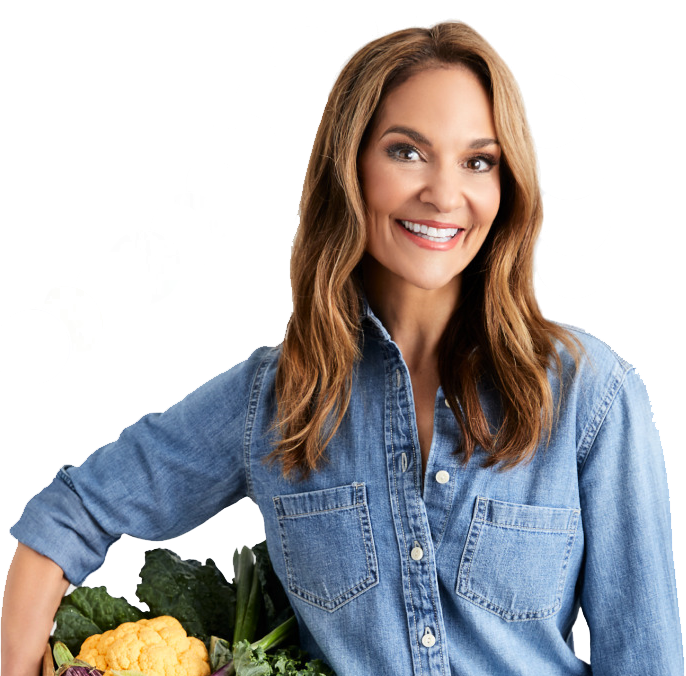 In fact, it has grown into a hearty delicious website that is already getting wonderful acclaim by nutrition and culinary experts alike and I am delighted to be able to share it with you! And so here we are today! Joy is an esteemed colleague of my husband and she, in her exuberant embracing warmth, generously invited me to write a blog on her beautiful website! Since it’s apple picking time, I thought, of course, I would post one of my apple recipes. Apples feel like home to me! They conjure up autumn days and memories of our family’s apple picking tradition at our local orchard every year. I remember the kids (and David) triumphantly dragging back their bags filled to the rim with apples (with David always winning the DUAP prize, otherwise known as the Katz Dysfunctional, Unrestrained Apple Picking prize, he has no shame!). This year is a little different as we now only have Gabe left at home but still, Gabe and David can hold their own! So, as I am trying to dwindle down the riches of the DUAP prize as I do every year, I love to make my Harvest Apple Cake. It is filled with apples (it uses 5 cups chopped apples-WOW!). No matter which variety of apples I mix together–macouns, golden delicious, gala, McIntosh, you name it…it doesn’t seem to matter, it always comes out just right: rich and moist and just delicious! Oh, and one more thing I love about this cake: The sweet apple cinnamon scent that fills my kitchen when it’s baking in the oven– it just warms my heart! Catherine Katz received her BA (psychology) from the University of California at Berkeley and her PhD in neuroscience from Princeton University. Born in North Africa and raised in southern France, Catherine learned Mediterranean French cooking from her mother and aunt. After marrying nutrition expert, Dr. David L. Katz, Catherine applied her scientific acumen to the systematic reconciliation of great cuisine and great nutritional quality, recipe by recipe. The result is an approach to optimal eating she and David refer to as “loving food that loves you back,” an approach on which their five children (age range 15 to 25) have been raised and which is now available on her new website www.cuisinicity.com. For more of Catherine’s delicious apple recipes, click here.